14/04/19: 2007 yes!!! 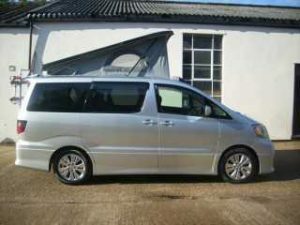 2007 Toyota Alphard face lift model 2.4 has elevating roof, 4 berths and is one of the newest camper tops in the UK !!!! High grade fresh import, low miles, with paper work to back up mileage. Coming soon.